In addition to studying, the students have the opportunity to enjoy the endless Finnish summer nights, make new international friends and discover Tampere,the vibrant student city located between two beautiful lakes. Our Social Programme offers a range of after-class activities, from relaxing in the sauna to canoeing across the lake and visiting the quiet forests around the city. Please find the course descriptions and application info on the Summer School webpage: http://www.uta.fi/admissions/summer-school. 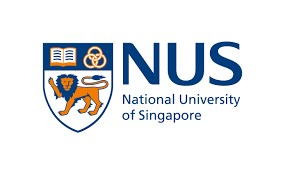 7th annual IPSA-NUS Summer School for Social Science Research Methods, which will be held June 25-July 6, 2018, at the National University of Singapore. The Methods School offers a wide variety of basic to advanced courses in quantitative, qualitative, and formal methods. All of these courses focus on both the theory and practice of social science research and provide high-quality training in diverse, state-of-the-art methods and techniques by outstanding and highly experienced international faculty. 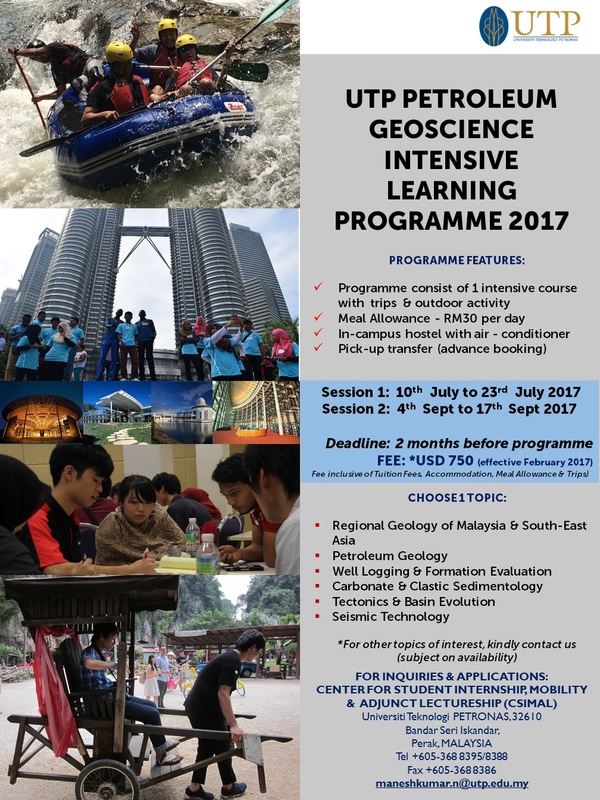 Join the IPSA-NUS Summer School for rigorous methods training and truly global networking opportunities. You will not only have the chance to acquire cutting-edge methods skills, but meet future collaborators, co-authors, and make new friends with similar research interests from all over the Asia-Pacific, the U.S., Europe, and beyond. The Brazilian Seminars developed by PUC-Rio is an international summer school which provides students, young scholars and international administrators with the opportunity to deepen their knowledge about Brazil. It’s an interdisciplinary program meant to give a broad perspective of Brazilian issues which are currently in the global scenario. A 48h program of lectures and off-class activities that offers a panorama on Brazil’s different aspects, ranging from politics to environmental issues, from culture to public health. Short Term Programme by Centre for Herbal Standardization (CHEST) This program is intentionally designed to bring everyone back to the roots through inspiring exploration of Malaysia’s multicultural herbal plants. 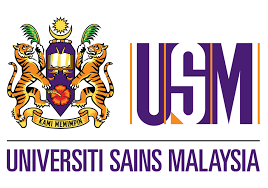 Summer Program by School of Chemical Sciences – Learning Through Chemistry@USM The program is designed to prepare the students in both academic (niche areas) and social experiences as there will be fascinating activities and trips. Penang Programme by Mobility@INFORMM Institute For Research In Molecular Medicine (INFORMM) The Mobility@INFORMM programme focuses on current topics in in-vitro diagnostics, advanced research technologies and cancer research. HBP Summer Programme 2018 by School of Housing, Building & Planning (HBP) This programme also address an integration of perspectives, approaches, methods and processes necessary in preserving and safeguarding tangible and intangible cultural heritage in the context of George Town World Heritage Site (WHS) in Penang, Malaysia. Summer Programme by Graduate School of Business (GSB) – Cultural & Entrepreneurial Experience Students participating in this summer programme will have the opportunity to gather entrepreneurship-themed learning experiences and expand classroom knowledge to the world of business through an immersive experience in Malaysia. Architecture Short Term Programme by School of Housing, Building & Planning (HBP) Through this programme, students will be exposed to unique architecture in Asia and at the same time they can enjoy the unique and diverse culture of Malaysia. 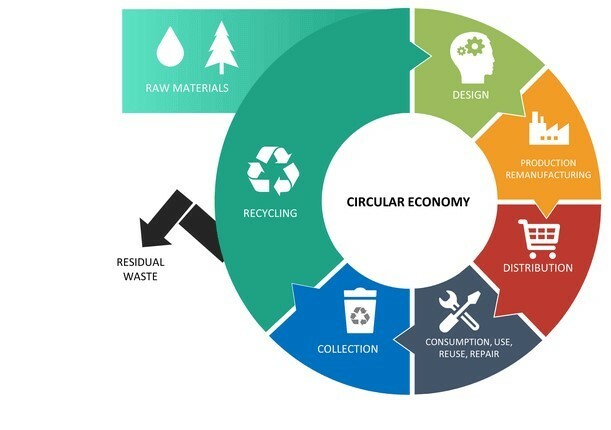 The Summer School offers an in-depth study on topics such as engineering for eco-cities and smart cities, green issues, city planning and architecture for the future. Mainly designed for Undergraduate and Master students with a major in Engineering or Architecture, students will be evaluated at the end of the programme and will receive 6 ECTS credits upon successful completion of the modules. Austria is waiting for you, join the CirCOOL 2018! Interested to do something really different this spring? 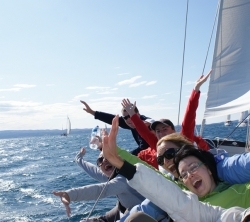 During this International Student Sailing Week you will learn the sailing basics while enjoying the Adriatic Sea and discovering stunning Croatian islands. But that is not all! You will also build your knowledge and skills in the area of cross-cultural team-building. A professional skipper by your side will take care of your safety. You will be on board of excellent, clean and safe yachts. Students from Ge4 member universities get 10% discount! This summer intensive program provides students of our partner institutions with an opportunity to discover Japan through diverse learning experiences in English. The program offers intensive Japanese language classes for both beginner and pre-intermediate learners, topical seminars in Japanese culture and society, a home-stay, and other cultural activities including field trips. Qualified students may apply for a Japan Student Services Organization (JASSO) scholarship of JPY 80,000. The Faculty of Arts and Social Sciences (FASS) at the National University of Singapore will be offering FASStrack Asia: The Summer School 2018 from 25 June to 27 July 2018. This 5-week summer school will focus on Asian-related topics and issues to offer students an insight into the fastest-growing region in the world. We offer courses in different disciplines such as Asian Studies, Sociology, Geography as well as Public Health with special emphasis on various Asian regions. There are also Asian language classes on offer. Some of these courses feature an 7 to 9 days’ field trip to countries such as Taiwan, Korea, India, Indonesia, as well as local field trips in Singapore. The application for FASStrack Asia: The Summer School in June 2018 will open from 15 December 2017 till 15 March 2018. 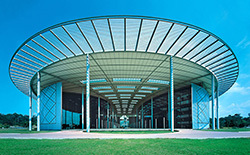 Information is also available online at http://www.fas.nus.edu.sg/fasstrack.html/. It’s an interdisciplinary program meant to give a broad perspective of Brazilian issues which are currently in the global scenario. A 48h program of lectures and off-class activities that offers a panorama on Brazil’s different aspects, ranging from politics to environmental issues, from culture to public health. Public: Students or professionals interested in learning more about Brazil. The course offers a critical overview of contemporary Brazil in its history, cultural, institutional, economic & political aspects. Opportunity: participants also have the opportunity to combine the Brazilian Seminars with a 20h intensive course of Portuguese language that will be offered during the previous week before to the regular program start. Please note that this is an optional course and there is an extra fee for it. Accommodation: Availability for housing/Brazilian Homestay is limited and is on a first come, first served basis. Program tuition for Ge4 students or EARLY BIRD : US$1,450. EPF-ESTP Paris Summer Program on Smart Cities & Engineering for Sustainable Architecture offers an in-depth study on topics such as engineering for eco-cities and smart cities, green issues, city planning and architecture for the future. For students coming from universities in partnership with EPF and ESTP Paris, a special fee may apply. 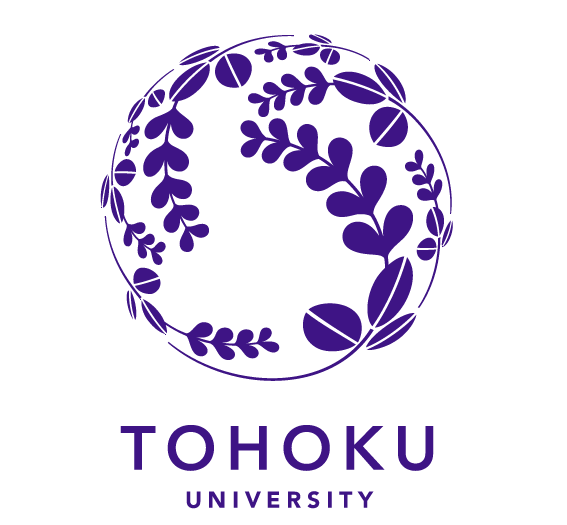 The Research Center for Marine Biology, Tohoku University is going to hold the Shinkishi Hatai International Marine Biology Course 2017 from July 5th to 13th, 2017 at our institute in Aomori, Japan. 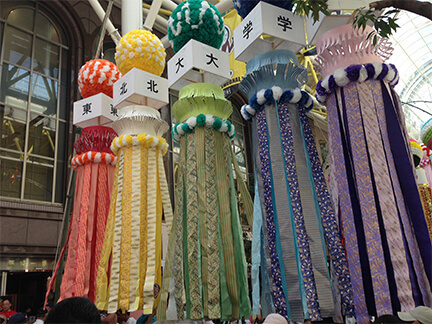 This program is supported by the Ministry of Education, Culture, Sports, Science and Technology in Japan. The program offers intensive Japanese language classes for both beginner and pre-intermediate learners, topical seminars about Japanese culture and society, various cultural workshops, and field trips including a homestay experience. The course is open for undergraduate and graduate students who are majoring in biology, life science and related fields, with particular focus on developmental biology and meiobenthology to provide experiences with basic experiments and practices. Half of the participants will be Japanese students; therefore, it will be a good opportunity to deepen exchanges with each other. We will introduce marine invertebrates as experimental materials; however, experience with handling marine invertebrates is not necessary. This summer intensive program provides students of our partner institutions with an opportunity to discover Japan through diverse learning experiences in English. One to three-week interdisciplinary academic courses consisting of lectures, workshops, class room as well as outdoor activities, field trips, exercises and discussions. All courses are taught in English. 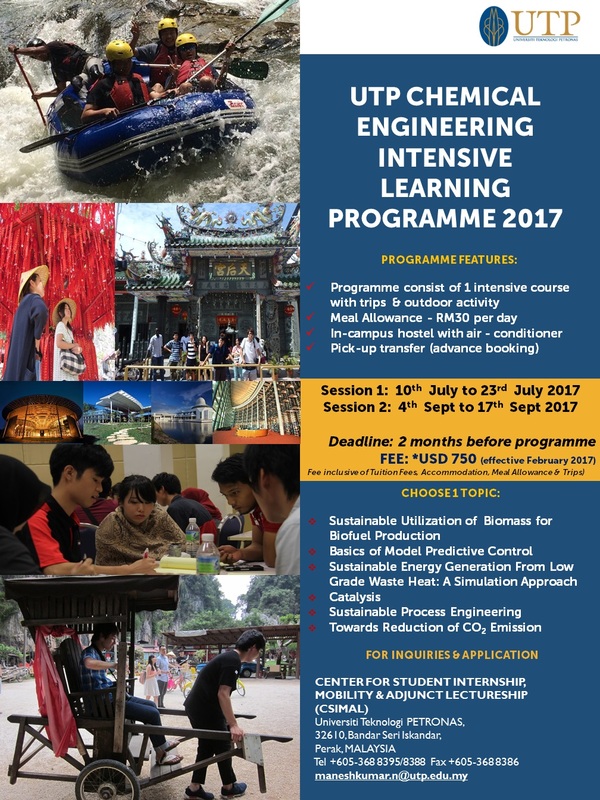 SPECIAL OFFER FOR Ge4 STUDENTS! 10% discount with the code: "ge4"
UTM two or three-week Summer Program offers a number of interesting courses. It has a wide-application related to the environment, local community, heritage and tradition. The courses incorporate theory and practice, blended with the local culture and social activities. The summer school creates reciprocal partnership through which participants exchange ideas, share experience, discover new knowledge and establish network. Participants will learn and have hands-on experience by participating in various field trips and cultural programs. Join our winter program and earn credits while discovering new places, cultures, and making friends from all over the world! Take three courses in three weeks. The Dubrovnik International ESEE Mining School (DIM) brings together international experts in the field of Mining in the heart of the ESEE Region. Special discount for Ge4 students - 15% of the total registration fee amount. We are pleased to announce that application for the 2016 IPL International Summer School is open from June 09 to July 13, 2016 in CPE Lyon – France. The IPL International Summer School gives you a unique opportunity to experience the French higher ed. environment and also to meet students from all over the world. The 5-week programme, jointly organised by the four IPL engineering schools, offers scientific courses in English as well as French language classes. The Summer School also aims to give all participants an opportunity to discover different facets of life in France both in Lyon and the Rhône-Alpes Region through organised excursions. 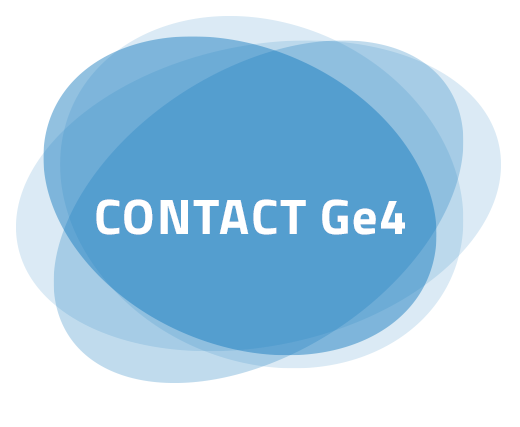 Please be advised that the final deadline for applications is 31 March 2016 and that a reduction of 250 € will be offered to the Ge4 students for a registration of minimum 3 students from the same university who will follow the scientific practicals in CPE Lyon. Choose among high-quality academic summer schools focusing on technology, architecture, business, culture and all aspects of human sciences and research. You will learn from and network with internationally renowned academics and scientists as well as with professionals and participants from diverse academic and cultural backgrounds. 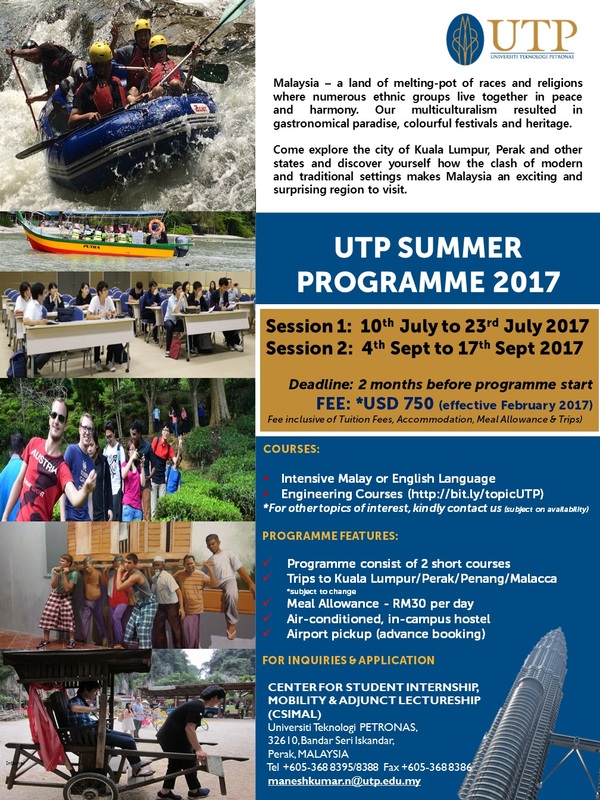 UTP 2-WEEK SUMMER PROGRAMME takes place in Malaysia, a land rich in diversity of ethnicity and culture. This fusion created a unique cultural mélange; a hub that welcomes everyone with open arms. 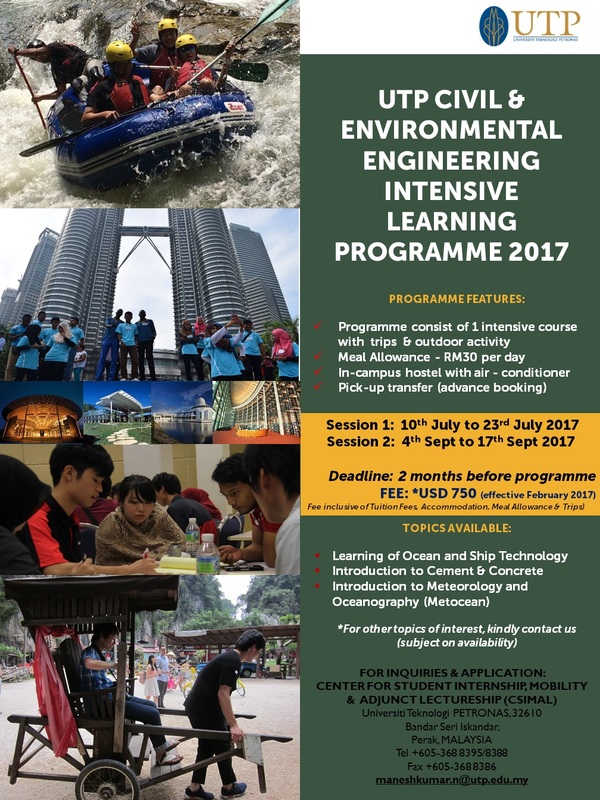 As such, our summer programme is tailored to provide the best educational & cultural exposure of Malaysia.